Vibrant, fast-paced and frenetic, Mumbai is the ultimate 21st century city and makes a fantastic entry and/or exit point to India. Mumbai (previously known as Bombay) is India’s most populous city – with an estimated 22 million residents. It is the nation’s financial centre and busiest port and is home to the country’s Bollywood film industry. Mumbai derives its name from Mumbadevi, the patron goddess of Kali fishermen who were the original inhabitants of the city. Originally a cluster of seven islands amidst the Arabian Sea, Mumbai was brought together into the single peninsula we see today by active reclaiming of land. What to see in Mumbai? The majestic presence of The Gateway of India, Mumbai’s most famous landmark, dominates the downtown area of Colaba. The impressive structure, built to commemorate the visit of George V and Queen Mary in 1911, overlooks the Arabian Sea and since the last British troops to leave India marched beneath its arches in 1948 it has become of symbol of Indian independence. The Chhatrapati Shivaji Maharaj Vastu Sangrahalaya (CSMVS), formerly known as the Prince of Wales Museum, is a fine example of British Raj era architecture with Gujarati and Islamic design features. It incorporates 50,000 artefacts in its Art, Archaeology and Natural History sections. The railways are a lifeline in India and you should visit the Chhatrapati Shivaji Terminus (formerly known as the Victoria Terminus) when in Mumbai. 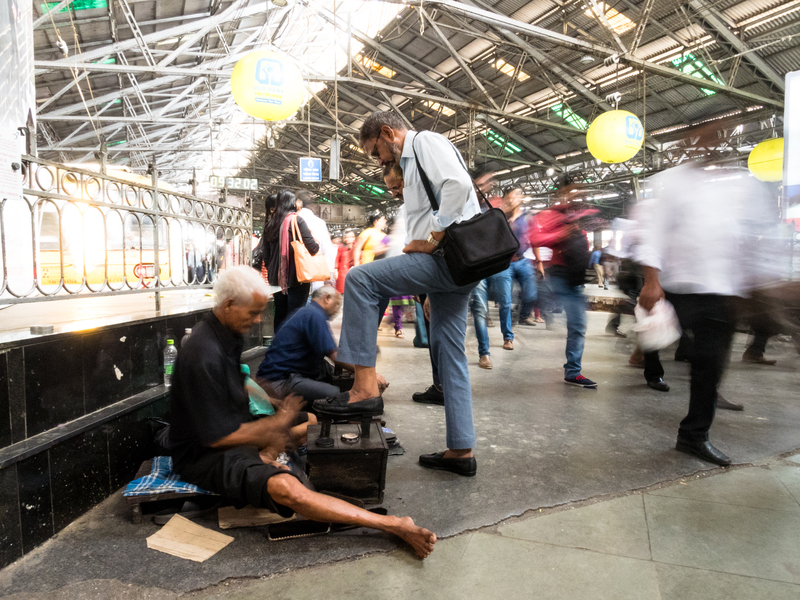 The iconic station with its spires and turrets is one of the best examples of colonial architecture in India and more than three million passengers pass through its concourse each day. Spend time in some of Mumbai’s markets too. Make time for an early morning visit to the Sassoon Docks to watch the Koli fishermen bringing in the catch or Dadar, the city’s largest wholesale flower market, which operates from 4-10am. The historic Crawford Market (just north of the Chhatrapati Shivaji Terminus) is the place to browse fresh fruit and vegetables. Chor Bazaar – or Thieves’ Market – is also worth exploring. After a day’s sightseeing head to the exclusive Marine Drive, known as the Queen’s Necklace, in reference to the illuminated lights which stretch around the curved bay. This three kilometre stretch of highway and pavement is a popular jogging and promenade route. Mumbai’s colourful history is told through its diverse food culture. The city is a melting pot of traditional cuisines and impressive flavours and you will find lots of choices as the city loves to eat! Try also chaat, kebabs – Mumbai Bhuyna rolls made with boneless chicken cooked in a spice filled gravy and wrapped in a thin roti; Dhosas – and don’t forget to drink some chai! The majority of India’s Parsi community which came from Persia via Gujarat in the 10th century to escape Arab persecution live in Mumbai and the much-loved Britannia & Co Restaurant (opened in 1923) is one of the last remaining restaurants founded by this immigrant community. Parsi cuisine blends Gujarati and Persian influences. Take time to visit Mumbai’s most famous seafood restaurant. All seafood is caught daily by the restaurant’s own trawler. Try the legendary butter pepper garlic crab and Hyderabadi (pepper fry) pomfret. An intimate, historic restaurant, Trishna is also a place for Indian and international celebrities and comes highly recommended. One of Mumbai’s oldest restaurants, this cafe has a literary aspect, from the 2003 novel Shantaram. Filled with locals and located in the throng of the bazaar, Shalimar is famous for its rich North Indian Mughlai food, which is both authentic and delicious. The best known sights, hotels and restaurants are situated downtown in the historic Fort area in South Mumbai. The smart residential area of Malabar Hill lies along the western coastline, just north of Marine Drive. Suburban Mumbai stretches northwards from Bandra. This is Mumbai’s grandest and most beautiful hotel. 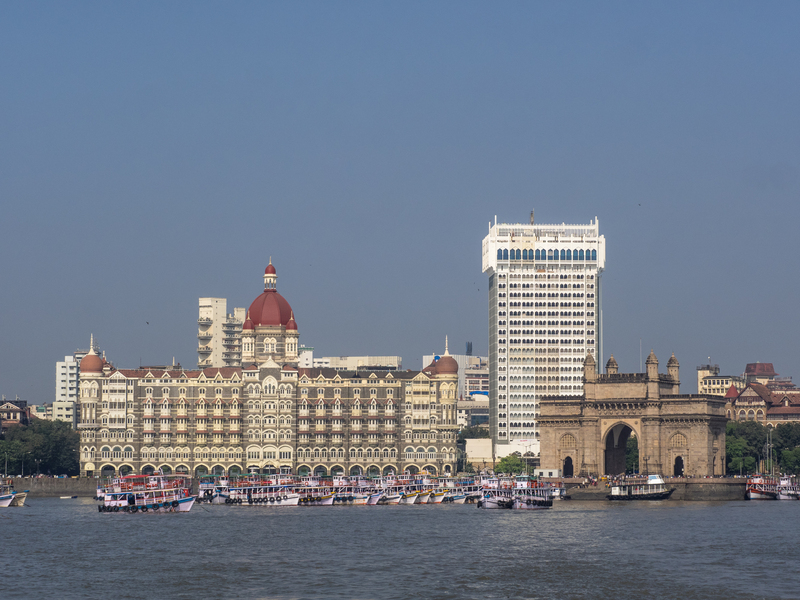 Enjoy views of the Arabian Sea from the Taj Palace Hotel which enjoys an enviable location next to the Gateway of India. Opened it 1903, it offers old-style luxury. Choose to stay in the splendour and style of the Palace wing. With views of the Arabian Sea and Marine Drive. Smart and classical, there is also the rooftop bar, Aer. This is a charming small hotel in a good location, with rooms with a Mediterranean influence. A luxury boutique hotel with 20 rooms with antique furniture, original artworks and the latest entertainment technology. Situated in Colaba, just five minutes from the Gateway of India. What to experience in Mumbai? Mumbai is home to India’s largest film industry and you can experience all the glitz and glamour of Bollywood with The Mumbai Dream tour. From a Bollywood dance show to taking in the fast-pace of a film or TV shoot and seeing how special effects are created, this is a glimpse behind-the-scenes of the world’s largest film industry. 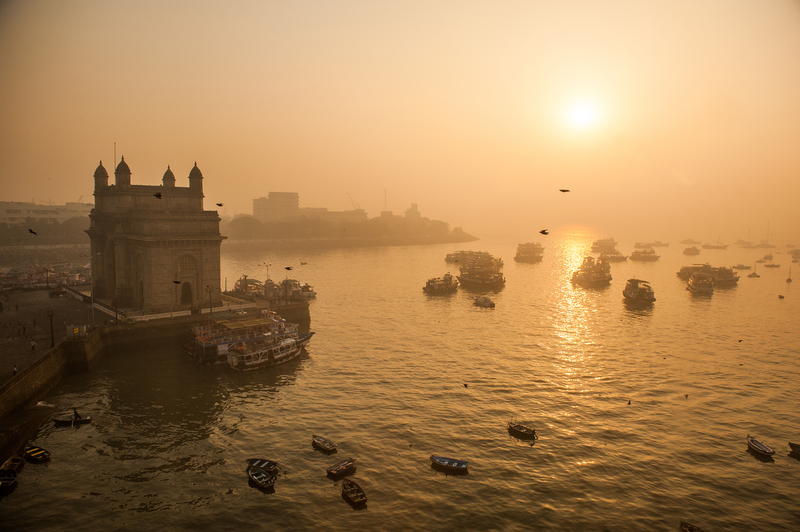 Rise early for a Mumbai by Dawn experience. Before the crowds emerge see the flower sellers and newspaper vendors setting up for the day whilst fishermen haul in their catch. It’s worth setting your alarm early for this 5am start to catch a side of Mumbai others rarely see. 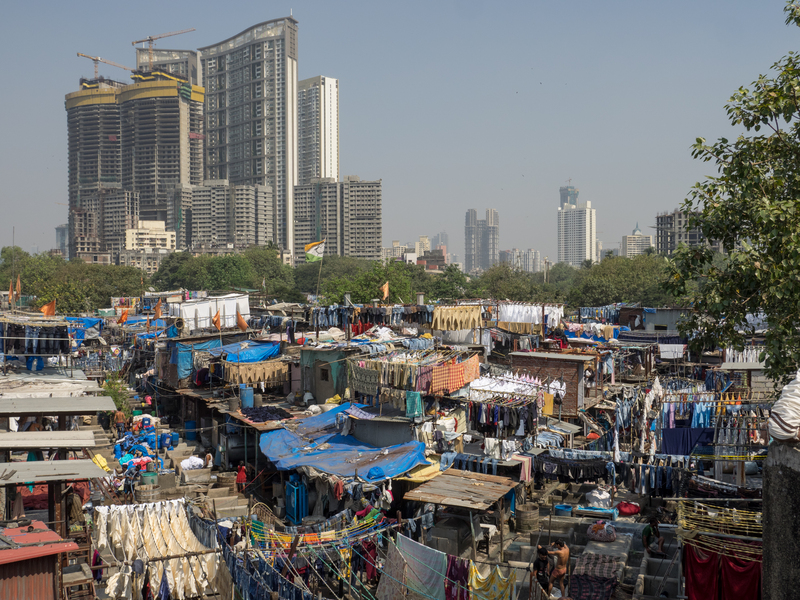 Join a community project to support a local non-profit group and glimpse life in Dhavari, an area of Mumbai considered to be one of the largest slums in Asia. Led by local students endeavouring to pay their way through college, the visit showcases the resilience of the residents and attempts to break down stereotypical views of life in the slums. Visit Mani Bhavan, the Mumbai home of Mahatma Ghandi from 1917 to 1934. From here he launched the Satyagraha movement (non-violent pursuit of independence) and visitors can explore his former home. Mumbai has one of the most extraordinary lunch delivery systems in the world and you’ll never view your lunchtime sandwich in quite the same way once you’ve seen the system in action across Mumbai. 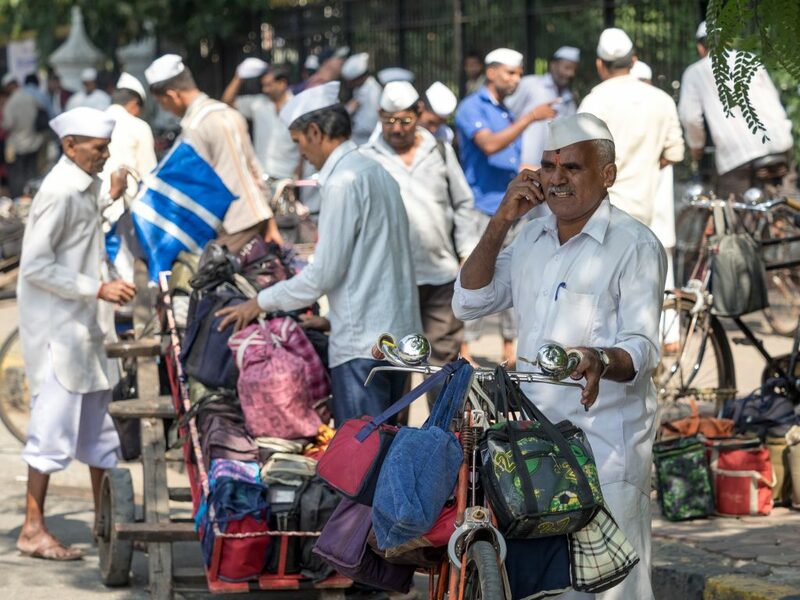 See the dabbawallahs (literally translated as ‘the ones that carry a box’) deliver lunch boxes to over 175,000 workers daily. These are prepared at home that morning and taken from home to desk, still hot via train and road before being returned home empty after lunch, ready for the next day’s delivery. Head to Churchgate Railway Station around 11.30am to watch the dabbas being unloaded before being transported to various workplaces around the city in time for a lunchtime delivery. Another extraordinary place to visit is Dhobi Ghat, the world’s largest open air laundry. In the afternoons the clothes can be seen drying in rows of washing lines before being hand delivered back to their owners. Mihna Casa – A walk through Bandra, originally a collection of 24 villages inhabited by the Kolis or the fishing community. Minha Case means ‘my home” in Portuguese; a befitting name for a tour that pays homage to this community – their way of life, history and culture. There is much to see and explore in Mumbai and we definitely recommend you spend some time in this vibrant, cosmopolitan city! Read more about visiting Mumbai via our website.